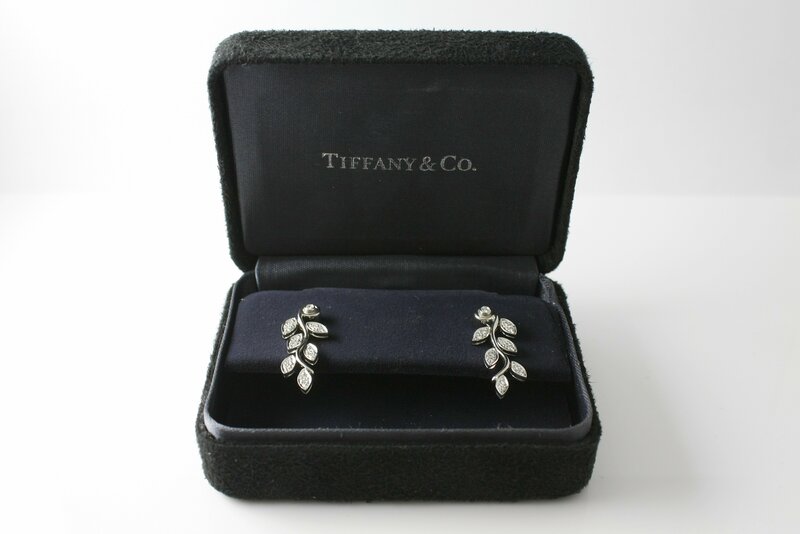 This is a gorgeous pair of 100% authentic Tiffany & Co. Garland earrings in 18k white gold and diamonds. The earrings themselves have been professionally cleaned and gold has been polished by our jeweler for a like new appearance. 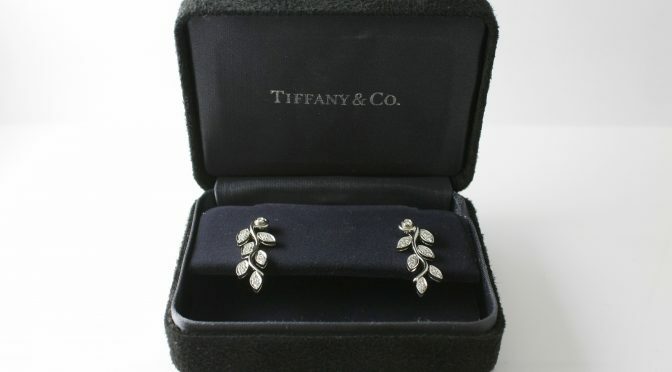 The earrings come in its original Tiffany & Co. suede box.